Calling all Washington, DC foodies getting married! We know there are many of you out there. Today, we want to introduce you to a new local resource for an alternative idea to a traditional gift registry and to favors. 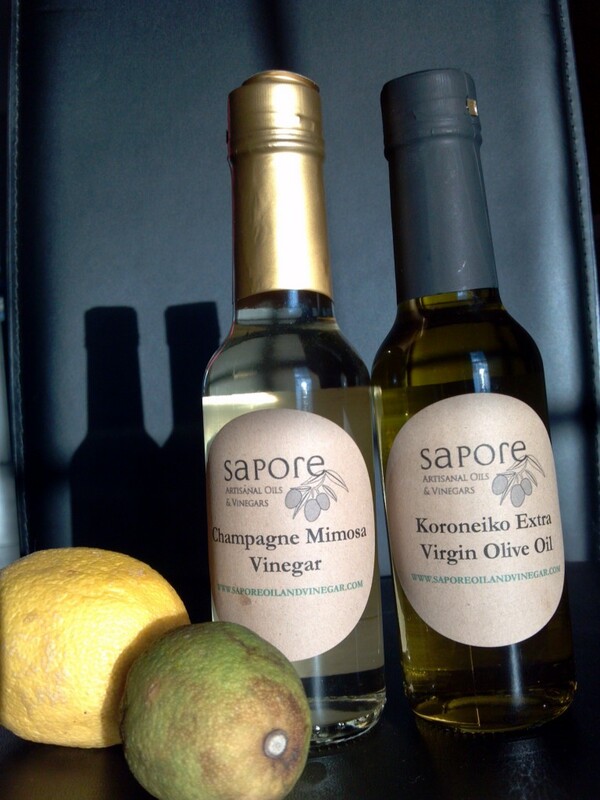 Adding to our recent post about buying local when searching for items to fill your welcome bags or favors, let’s include Sapore Oil and Vinegar. 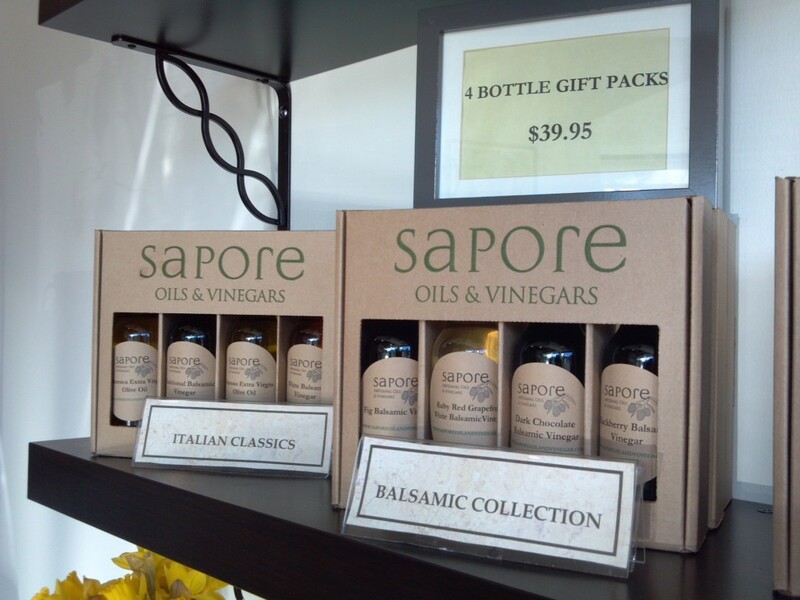 Opened just over a year ago by Renee and John Farr, veterans of the special events industry and food lovers, Sapore is a “purveyor of fresh, premium extra virgin olive oils and balsamic vinegars” located in the Eastern Market section of Capitol Hill in Washington, DC. They also carry a variety of pastas (including some gluten free ones), sea salts, and spices. You can make your way around the store and sample everything. 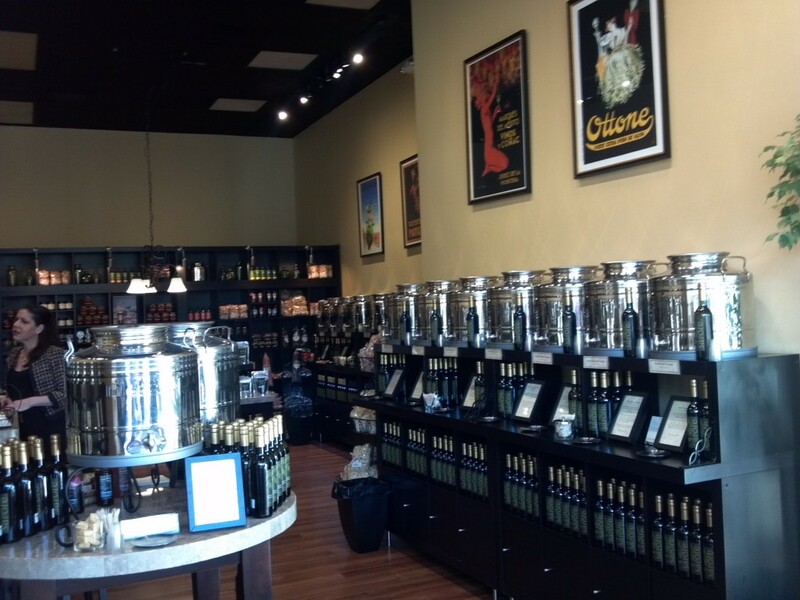 The friendly and knowledgeable staff will advise you on food pairings, and even mixing and matching the oils and vinegars. I took home the Lime EVOO (which I’ve already used several times with salads) and Cinnamon Pear Balsamic Vinegar (so good! ).